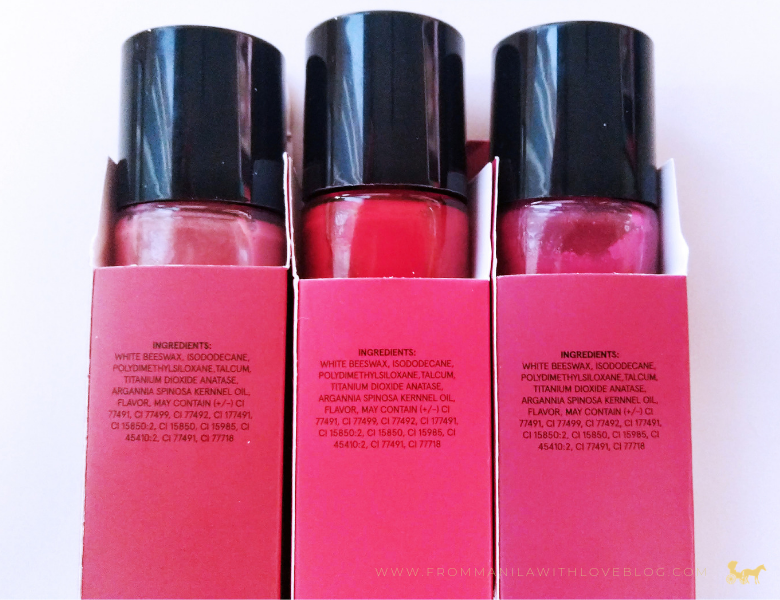 Lip tints are the ultimate versatile beauty product. 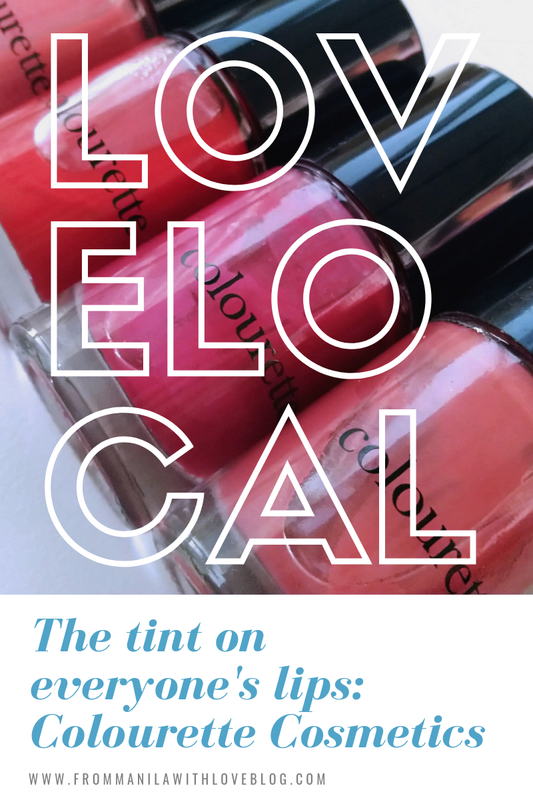 Most tints in the market today can be used on the eyes, lips and even cheeks. They're also decidedly more welcoming to makeup newbies than the standard bullet lipstick and liquid lip. 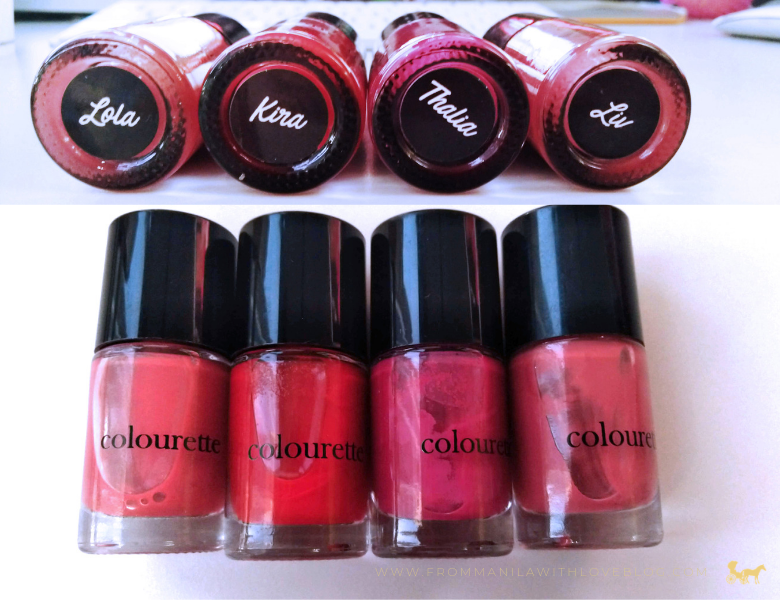 Enter Colourette Cosmetics. Ever since their conception they've continuously produced products that are not only affordable to beauty enthusiasts but are at par with other local and even international contenders. Housed in this quirky nail polish-like tube the Colourtint's ...well tint is suspended in oil that has to be shaken vigorously prior to use. The shades in my vanity : (left to right) Lola, Kira, Thalia (and Old Thalia) and Liv. One thing unique for me about this tint is the brush applicator and the nail polish-like tube. It's different and kitschy especially the fun stares you get when they think you're putting on nail polish on your lips. Sadly, it's not as travel-friendly as one would like. There have been issues with the tint spilling due to screwing it too tight or not enough. So the best way is to just keep it always upright and don't screw on the lid tightly. As I've mentioned, you have to shake this vigoruously before using to mix the powder pigment and oil togethe or else they'll be just chunks of powder patchily on your lips. 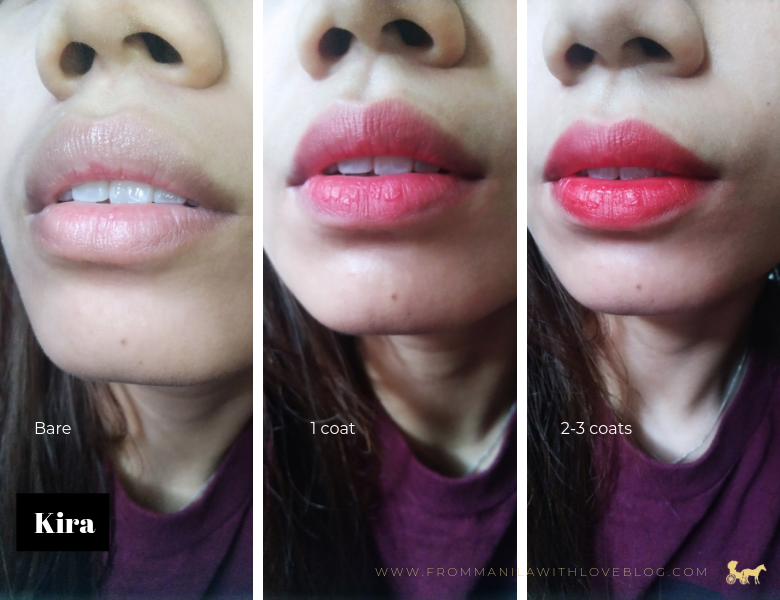 The Colourtint line has two finishes, fresh and matte. The original line only had matte finishes, following its success Colurette released a new 'lighter' 'mlbb-finish' under the Fresh line. Liv, is the only one I have in the Matte line. Both variants of our Colourtints include beeswax and argan oil. 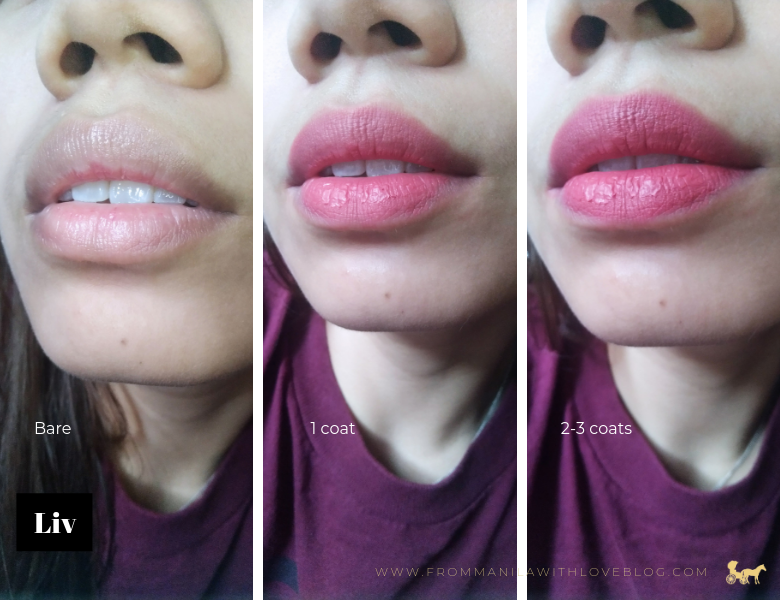 The finish for both Fresh and Matte though, on my lips tend to be the same as I have perpetually dry lips. So always exfoliate and moisturize before using regardless of the finish you purchase. 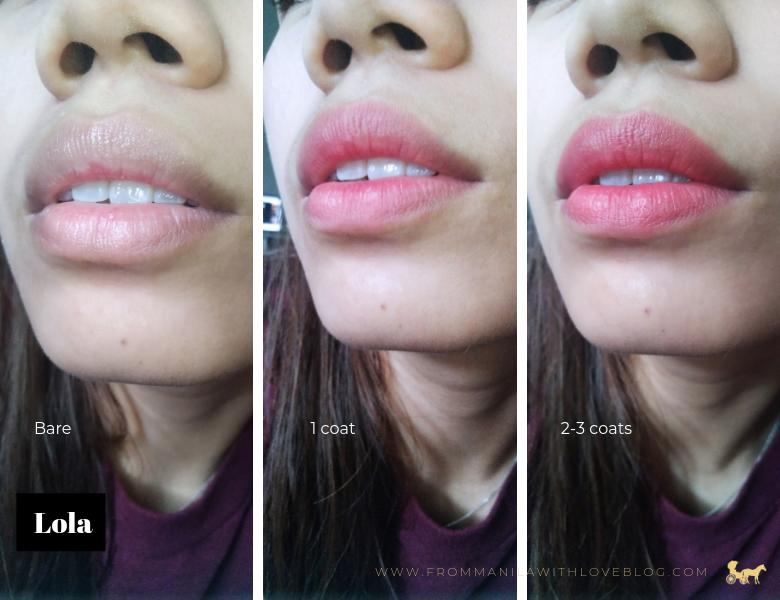 Despite being suspended in oil, it doesn't give you that 'lechon-lips' or lip gloss poppin look. These hug the lips more (if lips are properly prepped and hydrated). As advertised, the colours are vibrant and true-to-color on the tube. 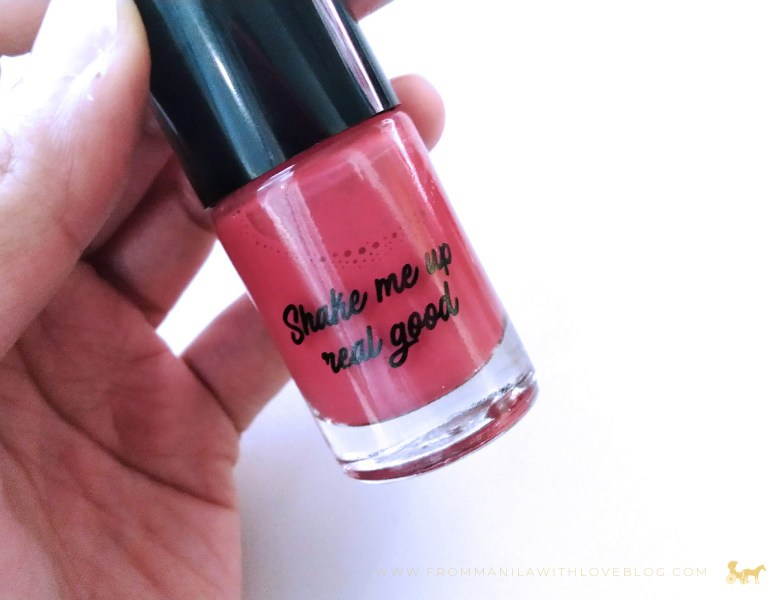 These are definitely blendable and extremely pigmented so a little does go a very long way. 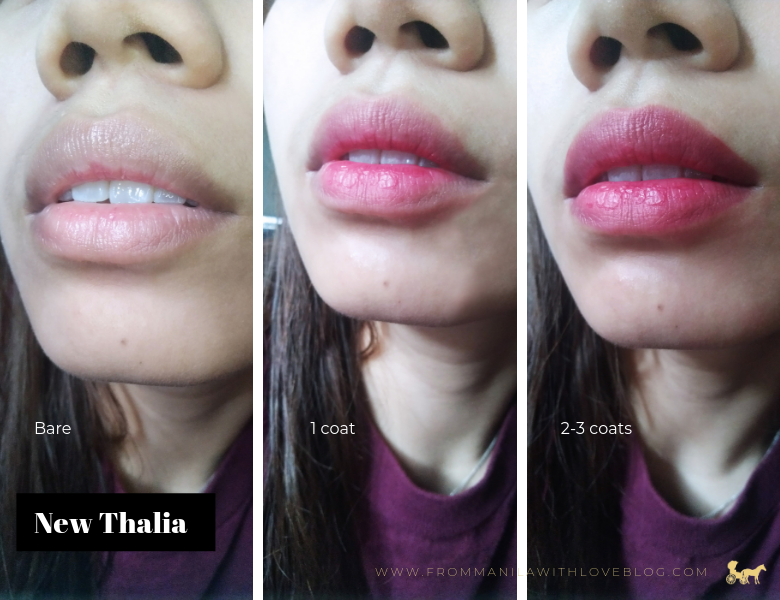 Be careful when applying to areas other than your lips, as one tiny drop tends to be more than enough for the cheeks and even less for the eyes. As for longevity, yes it does last long. 100% but there will be bleeding and transfer when you eat something, oily or not. That being said, the pigment is strong enough to stain your lips barely taking pigment off, unless you really try. 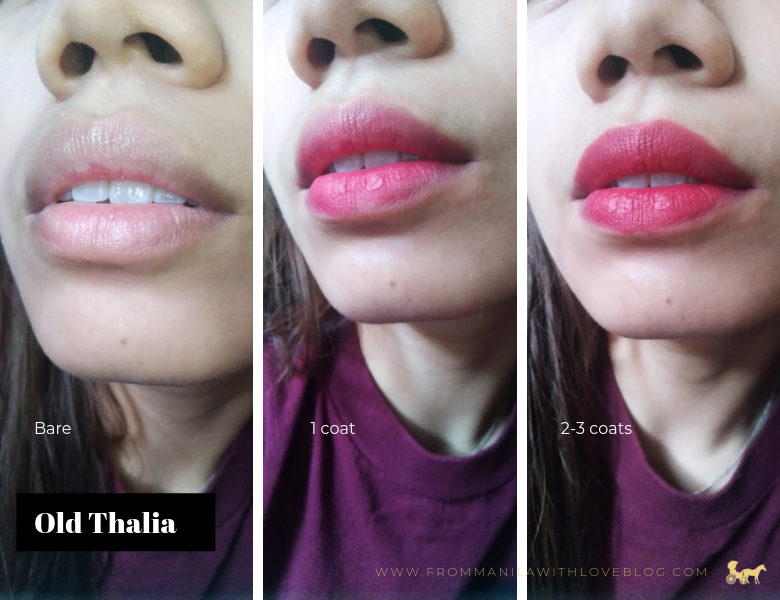 As a convert from most drying Korean lip tints (I SEE YOU TONY MOLY and ETUDE), these are better in terms of texture and finish. 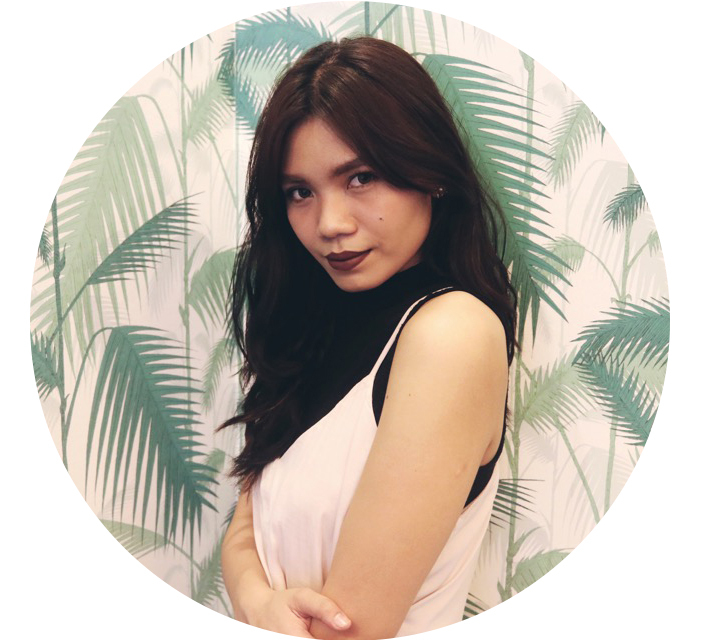 Supporting a local Philippine made brand by a very young entrepreneur is always a plus. 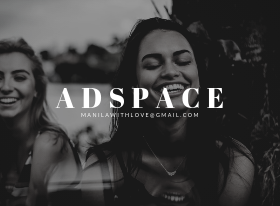 Their whole branding of conventional and unconventional Filipina beauty, breaking the 'beauty standards' and their staunch support of makeup being for literally everyone - what isn't to love? Yes, traveling will always be daunting because of potential spillage BUT the pros outweigh the cons in my book. Have you tried this brand or their tints? Let me know!